Action all the way, a hundred thrills in a fight for GOLD and a GIRL! 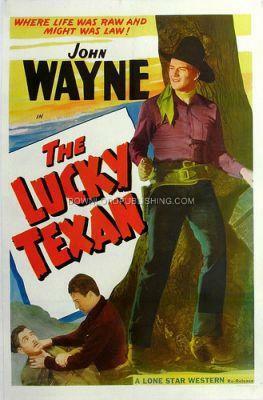 Jerry Mason (John Wayne) comes home after graduating from collage to live with his fathers business partner Jake Benson (Gabby Hayes) and join him in the cattle business as this was his fathers last wish, but finds out that Jake Harris is not in the cattle business anymore because almost all of his cattle have been rustled and the rest were sold before they were stolen. They decide to open a Blacksmith shop and find Gold and try to keep the location a secret.